The rain held off on a blustery Sunday but some fantastic times were set. Well done to all of those who took part, and to those that helped support this event for Simon at the Henfield Leisure Centre. So currently unable to run due to injury, I decided to go along to today’s run in Portslade to cheer our runners in and discovered a whole different way to enjoy a fun run without getting out of breath! As I am never anywhere near the front finishers it was a real eye opener to see what happens after a fun run has started and just how quickly the first finishers start coming in. 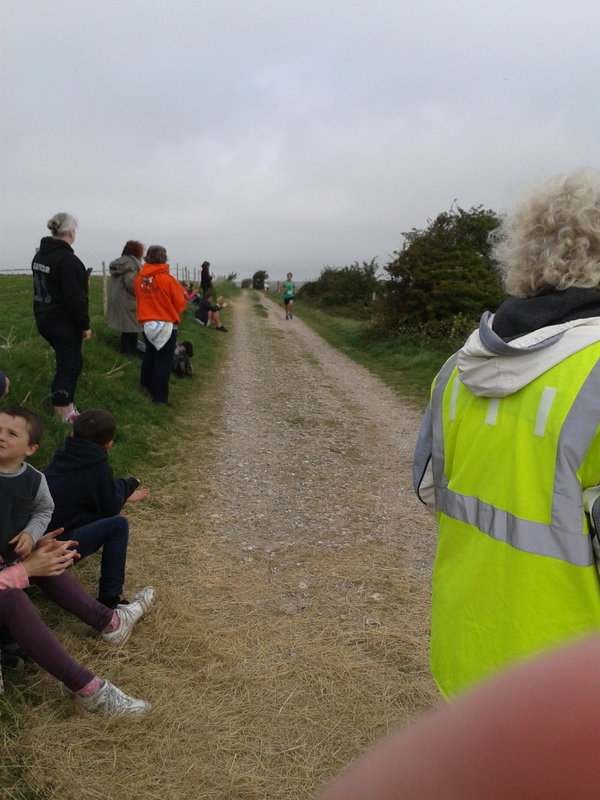 Our very own Andy Massingale finished in second place and as always, there were some strange looks from both Marshals and other runners as Henfield Joggers finished and then joined in very vocally to cheer their team members home. 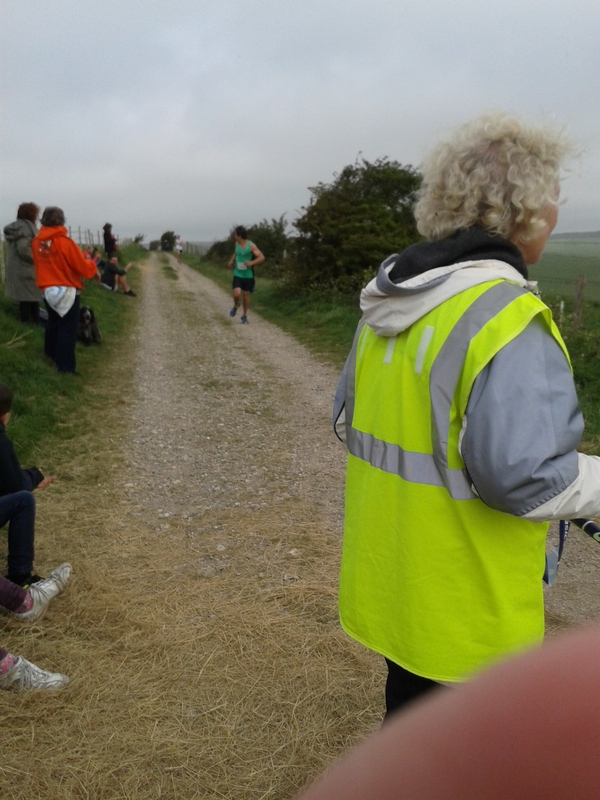 Well done to everyone who took part as it certainly looked to be a very undulating course from where I was standing! Andy M coming home in second place! Just checking to see if anyone is hot on his heels! Today’s brilliant Henfield Jogger Fun Runners! 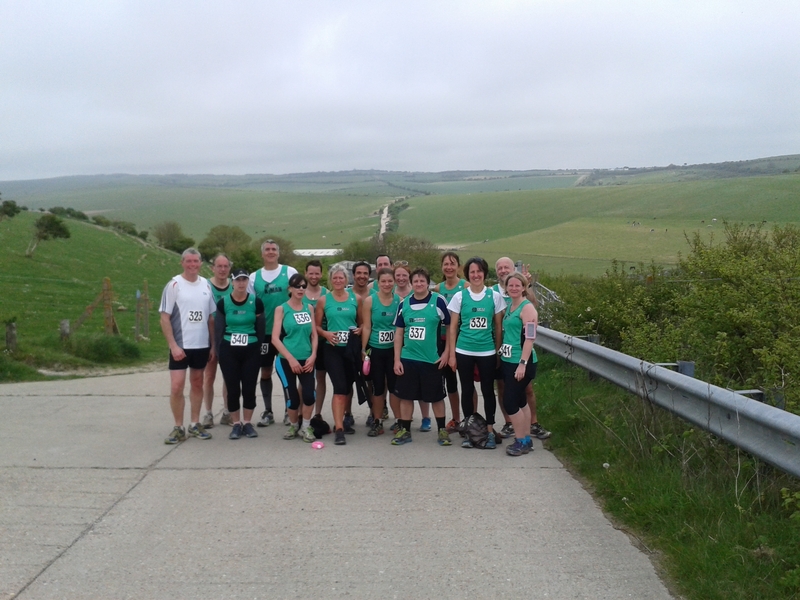 Some pictures from Saturday morning’s run over the Downs!